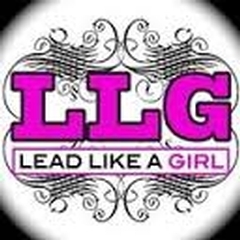 Lead #LikeAGirl 3.0 – Will We See You? Although the topics definitely celebrate the uniqueness and challenges facing women leaders in Healthcare today, Lead #LikeAGirl 3.0 is not just for women. We have several sponsorship opportunities available for your organization to sponsor a table and make it a great day of networking and education for your group. Keynote Address: Rachel Funk-Johnson: Innovate Daily! Finding the Next Level of HAPPEE in a busy life. Donna Cameron & Jill Willen: Latest and Greatest in Healthcare Strategy…What are Hospitals Doing Across the Country? ***The ACHE - Wisconsin Chapter is authorized to award 5.0 hours of CHE Qualified Education credit for this program toward advancement or recertification in the Amercian College of Healthcare Executives. For more about BRC, contact info@bloomroad.com or on the Contact page on the website.